"Great communication and very easy to do business with. 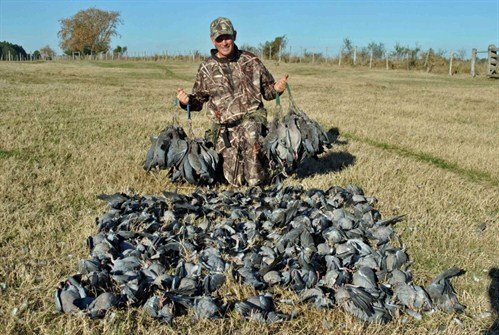 No BS...."
Argentina dove hunting at La Paz means full mixed-bag wingshooting at an affordable price. 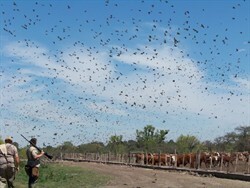 Following breakfast, a full array of Argentina wingshooting opportunities are available as the hunters decide: the shooting program is unstructured and hunting parties may choose to hunt doves under a busy flyway, ducks over a nearby wetland, perdiz over exceptional German short-hair pointers, or wild pigeons decoying near watering areas. 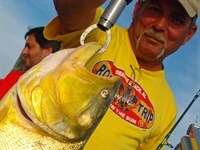 Guests may swap their shotguns for spinning reels and cast for golden dorado, especially during extended stays. 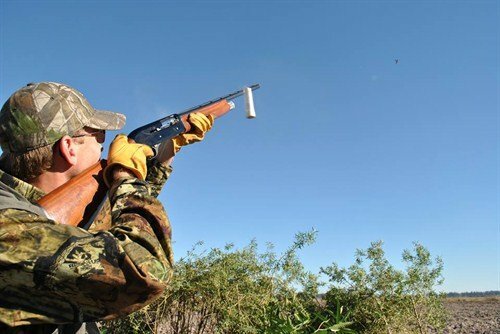 The La Paz Argentina dove hunting program is ideal for groups of 5-6 shooters that seek to experience fully the wingshooting diversity of Argentina without the inconvenience and expense of mid-trip transfers. The relaxed itinerary accommodates a brief day touring Buenos Aires and the rest ensures one’s power of enjoyment following international travel. 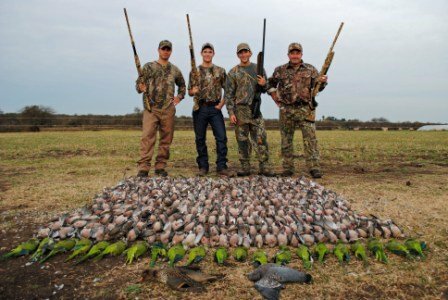 Located in western Entre Rios, a northeastern province of Argentina that literally means “between rivers”, geography and land-use create the bird hunter’s paradise. The Paraná River and the Uruguay River collectively form the watershed (ie., migratory bird funnel) encompassing northern Argentina, all of Paraguay, much of southern Brazil, into Bolivia and most of Uruguay. Terrain is mostly-flat Paraná River delta and associated wetlands. Habitat is characterized by very compact vegetation, wildlife-beneficial agriculture, primarily rice (Entre Rio accounts for 60% of Argentina’s rice production), and pastureland. Soybeans, wheat and maize are other principle row crops. 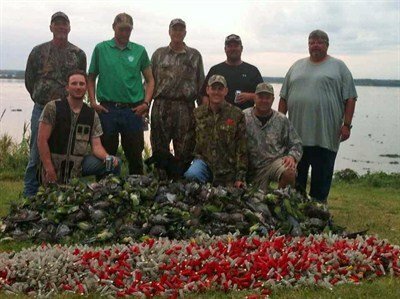 Waterfowl and upland game birds thrive. 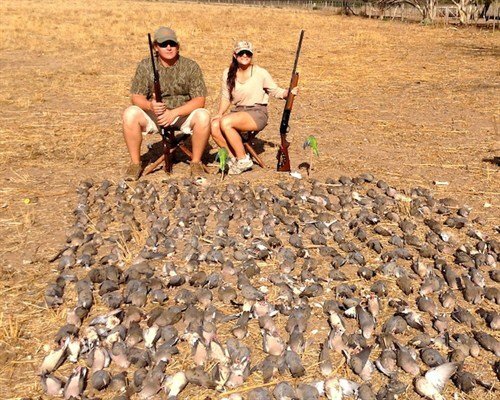 In the absence of substantial hunting pressure, and with an abundance of cover, cereal crops and feed lots, dove hunting is excellent; expect to experience excellent dove shooting combined with quality Argentina duck hunting at the same lodge. 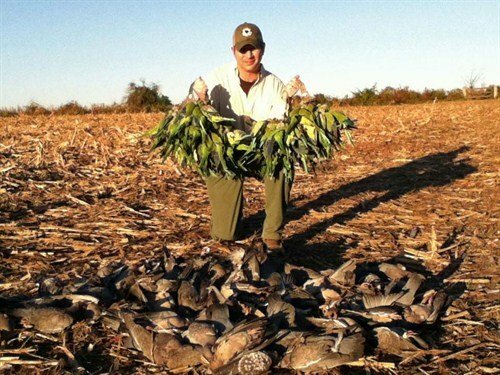 The benchmark 1000-bird dove hunt is just one fun-filled afternoon away. 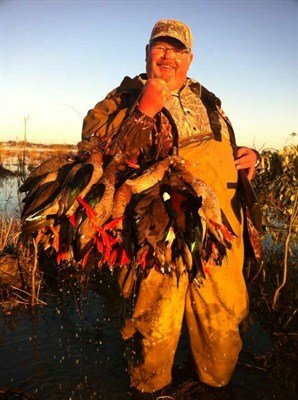 Duck hunting is done from dry and semi-dry blinds that are well-brushed for concealment and rarely more than a half-hour ride from the lodge for maximum convenience. 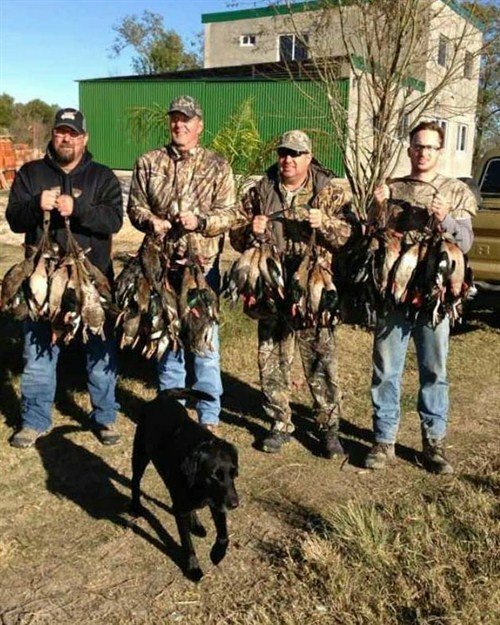 During the Argentine fall through winter months April-August, the duck limit is a generous 30 per person, which is usually accomplished within a couple hours or less. 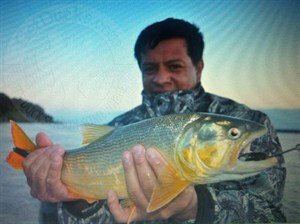 Golden Dorado fishing is an opportunity that makes the La Paz Argentina Dove Hunting Combo truly special. A day spent fishing for golden dorado perfectly separates 2 days of wingshooting before and afterwards during a 5-day program. While water temperature may be cool during the winter months, the weather needed to produce good fishing is usually possibly on extended trips – and if not, well, there’s always the incredible hunting for ducks, doves, perdiz and doves to fall back on! The landscape of agricultural crops and forest cover is interpersed with pastureland that offers superior perdiz hunting over some of the finest German short-haired pointers in the country. Limits of 10 per person are usually completed within a few short hours of easy walking, even while taking in the beautiful sites or taking time to visit with present company. Wild pigeons are best decoyed during the afternoons as they come to watering holes shrouded in brush, but are commonly taken during doves hunts also. Hunters are lodged in private executive suites in the Alto de parana located in the quaint river town of La Paz, situated on the beautiful Paraná River. Guests are lodged 2 per suite. In addition to great beef for which Argentina is famous, superb dishes of locally fresh-caught fish are a client hit. An artisanal chocolate confectionary is located nearby, and non-hunting activities located conveniently within walking distance include golf, shopping, horseback riding. The La Paz Hot Springs Spa is the perfect place reinvigorate tired muscles with a hot soak, sauna or massage; La Paz’s Museum is an excellent option for becoming better acquainted with local culture. From the time you arrive in Buenos Aires until time to return to the States, your bilingual hostess will personally attend to every detail involving your travel enjoyment. From tours and dinner in Buenos Aires, to ground transfers and times spent at the lodge and afield, she will serve as your personal tour guide and interpreter. 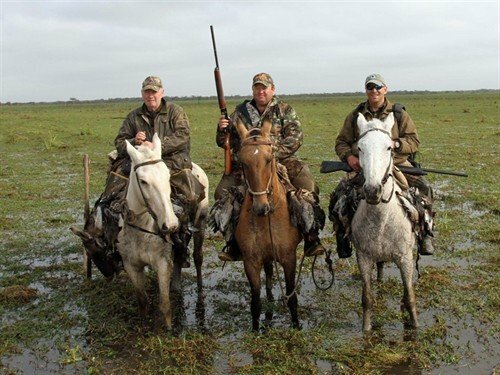 This is an excellent Argentina dove hunt for shooting guests that wish to experience full-package wingshooting – and angling – opportunities. 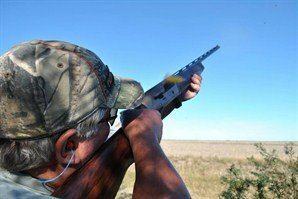 Excellent Argentina dove hunting at La Paz may be enjoyed as part of an Argentina wingshooting combo April through August. 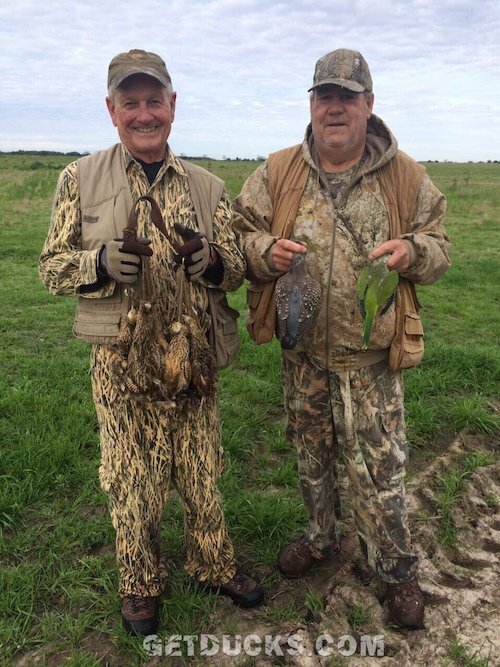 Argentina dove hunts are part of a full-package, mixed-bag hunting program to include guests’ choice of volume ducks, doves, perdiz and wild pigeons; perdiz hunting, however, is available only through late-July. 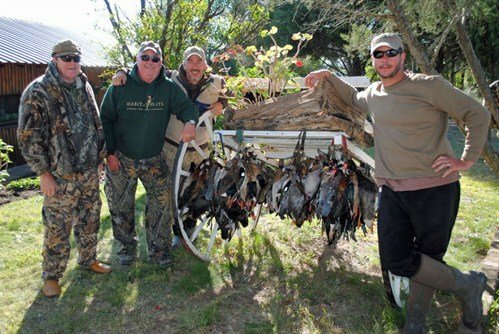 $3,250 Basic 4-night/ 3-day Argentina duck hunting combo package at La Paz (2 morning duck hunts, 3 afternoon hunts for perdiz or doves, and 1 full day for dorado or pigeons). 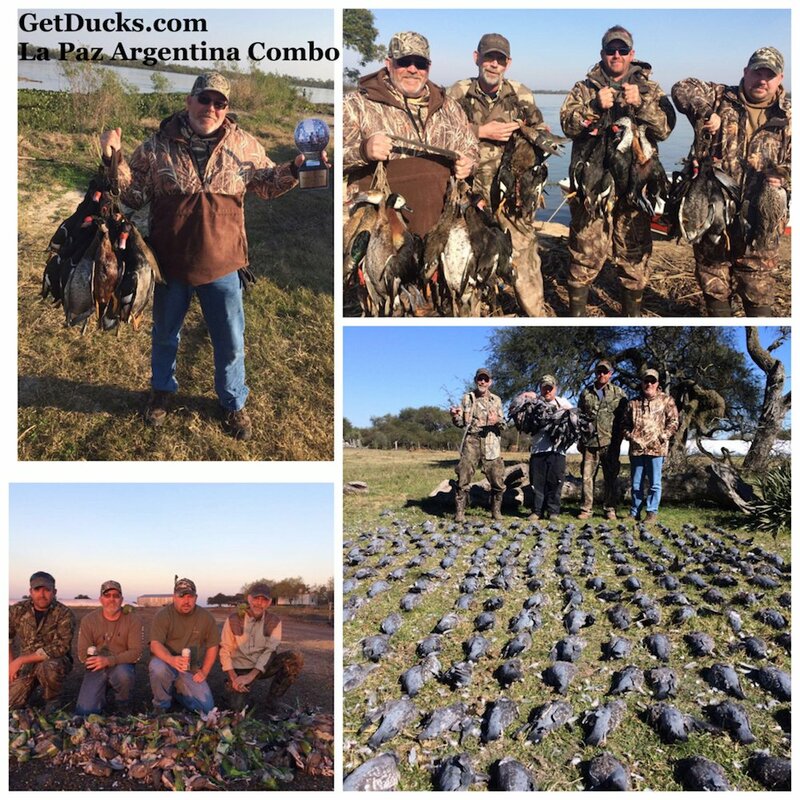 $3,900 Standard 5-night/ 4-day Argentina duck hunting combo package at La Paz (2-3 morning duck hunts, 4 afternoon hunts for perdiz, doves or pigeons, 1 full day for pigeons or dorado). 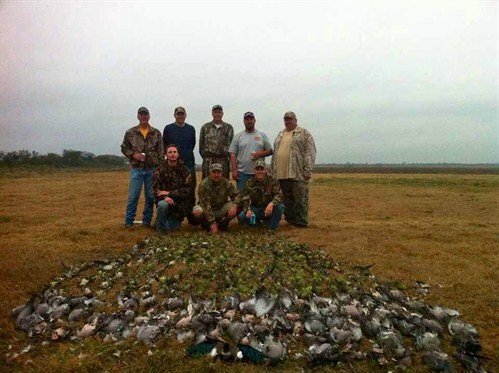 $4,600 Perfect SIX-NIGHT/ FIVE-DAY La Paz Argentina dove hunting combo package (3 morning duck hunts, 2 afternoons for doves or perdiz, 1 full day on the river for dorado, and 1 full day afield for pigeons). 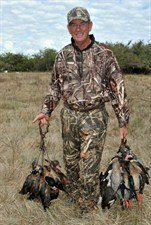 This is an unbeatable GetDucks.com-exclusive package, a definitive Argentina hunting trip of a life-time. Non-inclusive Daily rate $780 per shooting guest. Non-hunter rates $375 per. Hunt duration may be customized. 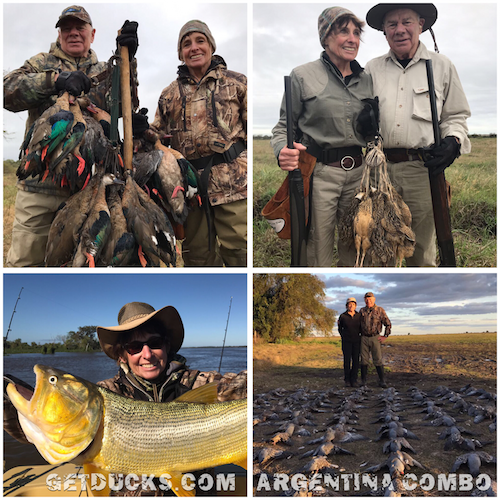 Many guests prefer 4- to 5-day Argentina duck hunting packages at La Paz so that available sporting opportunities may be experienced fully, especially if fishing for golden dorado is a priority (and it definitely should be!). An overnight in BA, or more, can also be fun. Note – All-inclusive packages include standard ground transfer and licenses. Ammo ($15 per box of 25) Prices subject to change. Day 2. Arrive Buenos Aires in the morning and transfer directly to lodge. Day 3. Awake at La Paz well rested. 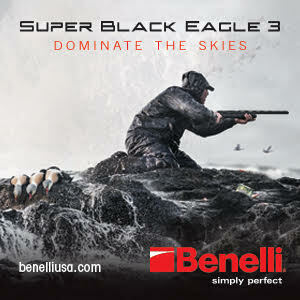 After a hearty breakfast, change into your hunting clothes and enjoy an action-packed morning hunt. With plenty of time to enjoy lunch and a rest, spend the afternoon shooting your choice of doves, pigeons or perdiz. 4-6. 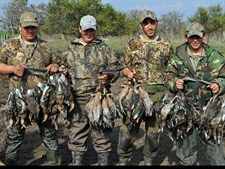 Full days of Argentina hunting. The itinerary is flexible. Most meals are enjoyed at the lodge, which is never more than about 30 minutes away. Soaks in the natural hot springs and therapeutic massages may be scheduled to relax tired arms and shoulders. Day 6. After final afternoon of Argentina dove or perdiz hunting and dinner, enjoy a final night and transfer to BA the following morning. Depending on US-bound flight times, rest or tour Buenos Aires. Day 7. Arrive in the U.S. and make connections home, usually arriving about mid-day. Your La Paz Argentina dove hunt itinerary may be fully customized to allow for touring Buenos Aires before or after your hunt. We will help make neccesary arrangements for tours, dining or shopping. 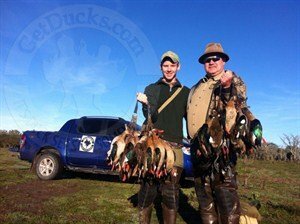 The bag limit, or transportation limit for this Argentina duck hunting experience is quite generous, but we hope that you will let your conscience be your guide as well, and compare this shooting opportunity to virtually any other decoying experiences in the world. 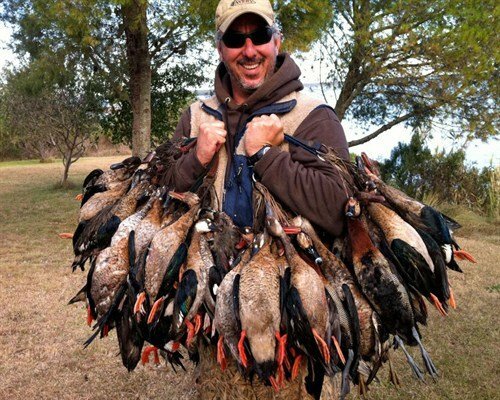 Our outfitter abides a generous limit of 30 ducks per morning to ensure the consistently productive shooting. Perdiz limits are 10 daily. Doves are unlimited and pigeons are 75 daily. Packing for an Argentina dove and duck combo hunt is relatively simple. The weather is comparably mild for wildfowling, and the walk or ride to the blind is relatively easy. 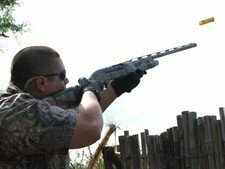 You may rent from a selection of clean, reliable semi-automatic 12-gauge shotguns, but bringing your favorite firearm is highly recommended and very easily done. 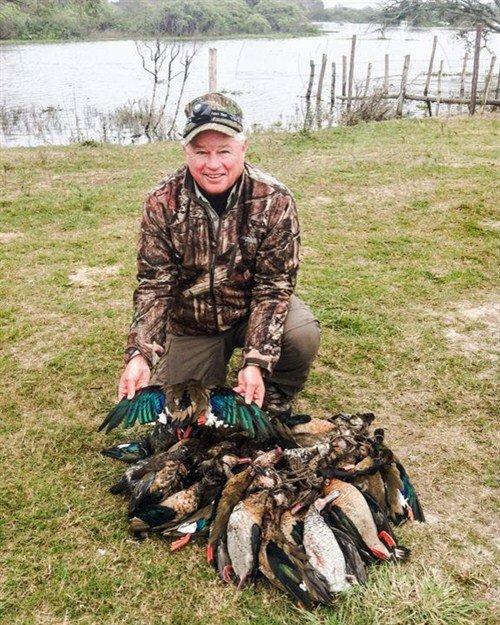 Lightweight, breathable waders are the perfect choice for the dry or semi-wet blinds used while Argentina duck hunting at La Paz, and rubber or leather upland boots for upland hunting. Do not tip house or field staff daily. Your hostess will coordinate your paying their gratuities for when settling your ammo account prior to departure, and will help dispense accordingly. Optionally tip your hostess after returning to Buenos Aires. For hunting trips in general, gratutities are 5-10% the package cost as clients deem appropriate. 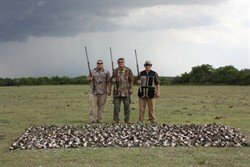 Contact us about for more information about Argentina dove hunting at La Paz. 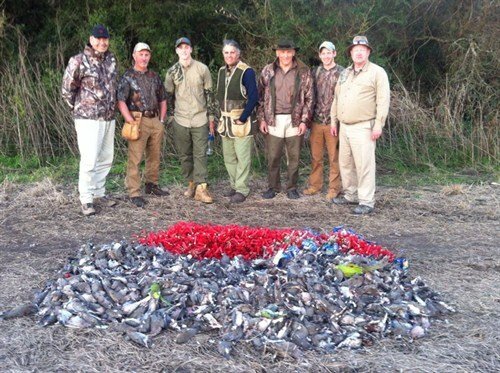 Loved the La Paz Argentina dove hunt. The hunting and food was excellent. The combo hunting and unstructured hunting schedule were perfect. You can not see that volume in the United States! 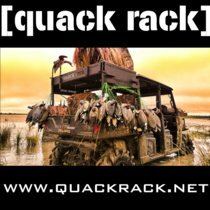 GetDucks.com answered all questions and concerns, and saved us time and money. I will speak very highly of La Paz and GetDucks.com. Awesome trip! Everyone loved it! Everyone was fantastic! We were on different kinds of birds and hunting every outing. 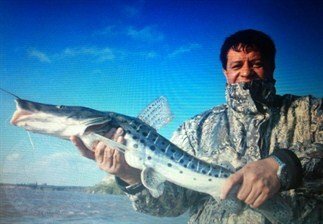 Thanks for memorable times Argentina hunting. The La Paz Argentina dove hunting combo was the best hunting I have ever experienced and was an awesome trip overall. Between the amount of birds, first class service, amazing food and overall friendliness, definitely plan to be back. Muchus gracias! 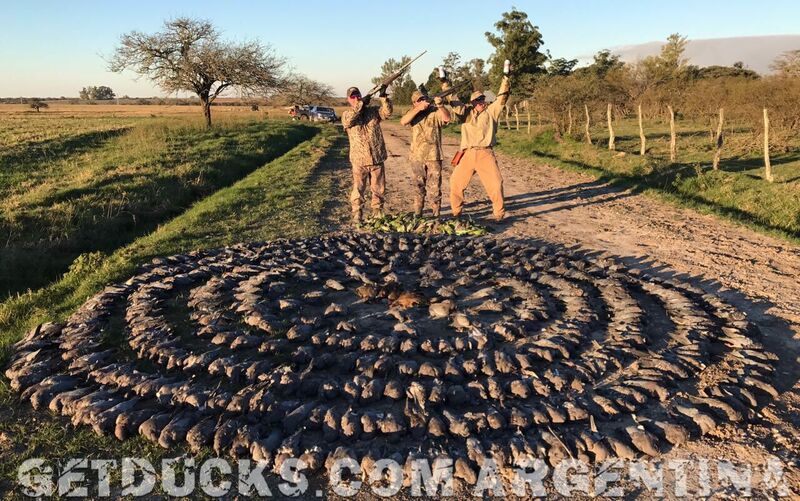 Everything during our Argentina dove hunting combo was first rate. The food was delicious. The hunting was beyond belief. When the weather did not cooperate, the staff hustled to accommodate new hunting sites and never missed a beat. Thank you! Fantastic! Watched my son shoot 1004 birds in 4 hours on his first ever dove hunt! First time hunting in Argentina, could not have expected a better experience for hunting birds…here or anywhere else!! Martha was a gracious and humorous support to our team. Diego, Santi, and crew could not have been more helpful. The field lunches were terrific. My bird guide and I laughed constantly during the hunt through hits and misses. Congratulations to all!! And let’s not forget the food at the lodge and amazing chocolate. Thanks you. First time on international hunting trip, a fantastic experience. It was amazing to be able to immerse myself in the culture of a different country – from the different language to the food and everything in between. Everyone was extremely helpful and made the week very memorable. Thank you! We had a warm welcome, a wonderful dinner and an amazing day of hunting under the sun and gentle winds. Unforgettable from my end! Thanks again and you can count on me for a warm recommendation to anyone who asks. Dear Anita, Thanks so much for everything. The team at Sierra Brava was outstanding. As we arrived late at night, in the dark and tired after a long and adventurous day, the team was waiting for us in the cars at the end of the road since who knows how long. We had a warm welcome, a wonderful dinner and an amazing day of hunting under the sun and gentle winds. Unforgettable from my end! Andris has now the wonderful distinction of being part of the 2,000 club with an incredible ratio for accuracy…. made a few others at the dinner table envious and all of us proud to be there for the event. Unforgettable!! I have included a few photos of the results of our hunt – which goes to show how much fun we did have! Thanks again and you can count on me for a warm recommendation to anyone who asks. 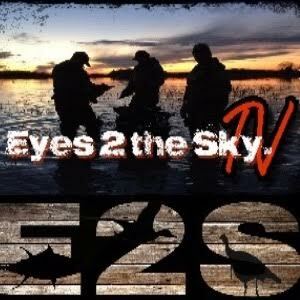 Anyone thinking about Cordoba dove hunting, do yourself a favor and put the hunt together through Ramsey and GetDucks.com. I can honestly say there was not a moment that went by while we were there we were not treated like kings! 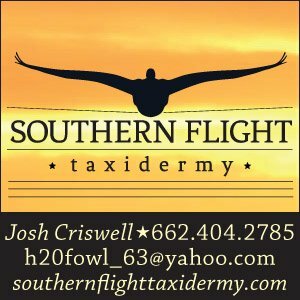 Anyone thinking about Cordoba dove hunting, do yourself a favor and put the hunt together through Ramsey and GetDucks.com. I can honestly say there was not a moment that went by while we were there we were not treated like kings! We ate good, shot a bunch of birds (5311 doves to be exact for all three of us) and made some memories we will forever remember. I cannot begin to describe how special this hunt was for the three of us. My little brother and I both shot over 1,000 doves in 1 day (he shot 1,001 and I shot 1,124) so we get our names on the “1000 club” plaque in the lodge. Did I mention the food was good? The personalized service was outstanding. I mentioned to one of the guides, I wanted to shoot a parakeet. I would of been alright shooting one while dove hunting but they set up an extra hunt at no cost within a few hundred yards of the lodge. 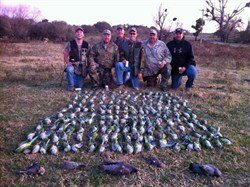 I ended up shooting 2083 doves over 3 days of hunting, probably would of taken me a couple lifetimes to shoot that many over here! I am so thankful to have Dad around. This trip meant the world to me and is one I will not soon forget. Thanks again Ramsey, we are already talking about going back on a duck hunt next year over there! The trip was fantastic. I would, and will, recommend it to family, friends and anyone else who’ll listen. Thanks for all your help. Great father and sons time. Everything was excellent, especially the service. Although I did not participate in the hunting I too had a wonderful time and felt like my every need was catered too.